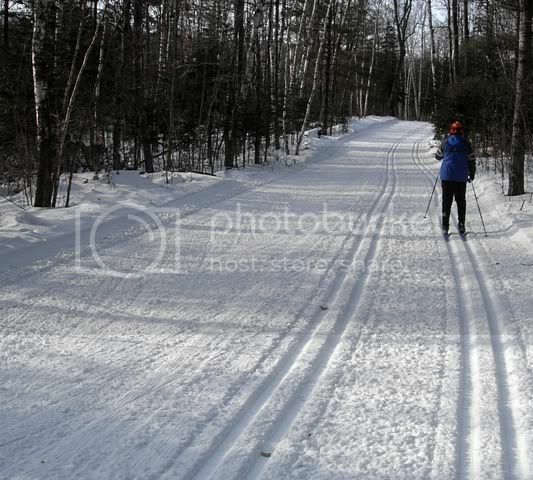 The Nine Mile ski trails opened this morning at 9 a.m. The entire trail system with the exception of the 'Alps' are being packed and will have tracks set today. 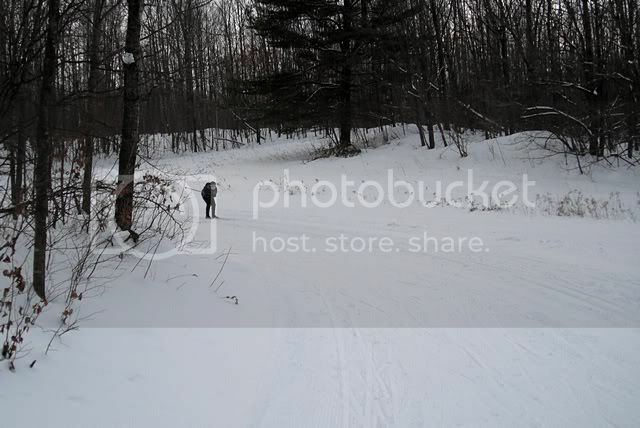 For an up to date report on ski conditions call the Nine Mile Chalet at 715.693.3001. The lights are set to go on the lighted loop at dark throughout the season. If you have any questions, please contact the Park Office at 715-261-1550. Almost four miles (6.3 km) of trails are lighted until 9 p.m. The chalet is open until 7 p.m. on Mondays, and until 9 p.m. on Tuesday, Wednesday, Thursday and Saturday nights. 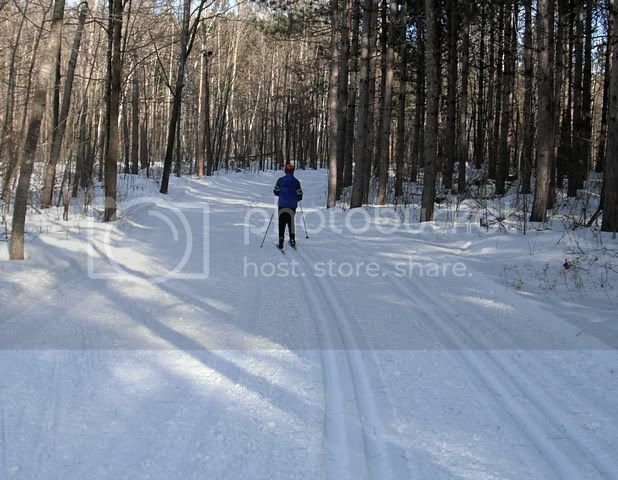 A new 7.5k snowshoe trail is available to the public. The ski chalet is open for ski rentals, daily and season ski passes and a warming area. There is not a food service concession at the Chalet. For continued updates and trail conditions, please monitor the 24-hour ski hotline and visitor information at 1-888-948-4748, or locally at 715.355.8788. The snow was hard and gritty. 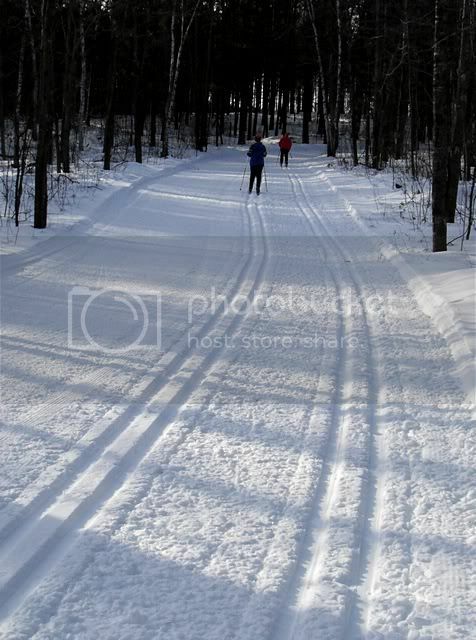 But still skiable with hard wax. Both my kids had Start TapeGrip Universal on. 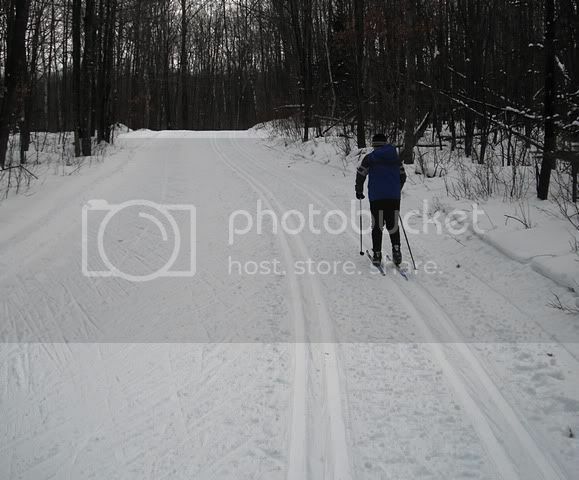 It worked quite well but one had his completely stripped off his skis after a few kilometers. The other still had his firmly attached to his ski bottoms. 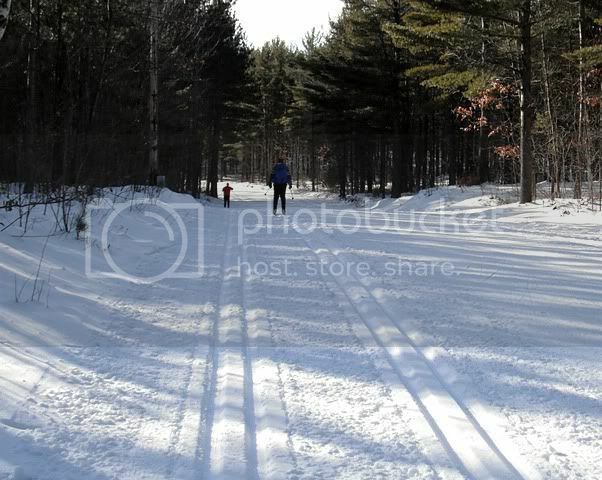 The inside trails were groomed and tracked. 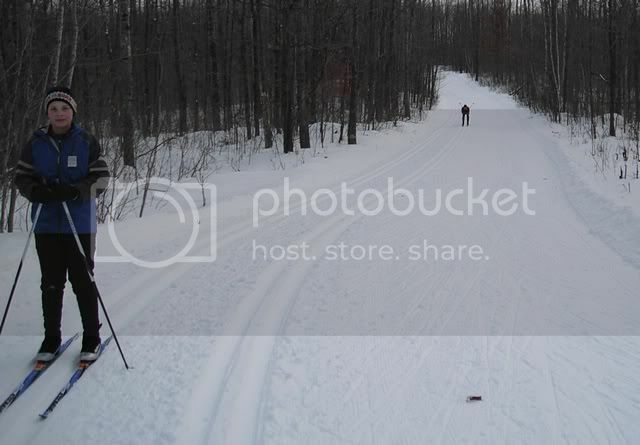 The outer trails had a re-manufactured skating lane but the classic tracks weren't done yet. I personally had a hard time setting an edge on the trails but I was using my +15 year old ski Peltonens and their edges have seen better days. I saw a few skiers skating and they seemed to be doing fine. Hopefully the handful of small systems forecast for the week will give us at least a couple inches of snow. That would help a lot. BTW, this will probably be the last day of skiing for my oldest son this year. Tomorrow he is off to Cape May, NJ and 8 weeks of Coast Guard boot camp. Semper Paratus! Went to the trails late Sunday afternoon. They were showing a few signs of overuse but for the most part were fast and silky smooth. Lots of cars when we first got there and even when we were pulling out at dusk there were 20 or so cars in the lot.